Saturday evening at five thirty as I drove into Oquawka for the annual lighted Christmas parade, I found both sides of Main Street lined with cars and trucks backed to the curb as they waited for the parade to begin. It seemed like everyone had turned out in spite of one of the first cold nights of the season. The weather was enough reason for most folks to stay behind rolled up windows, in the comfort of their cars. Sheriff Mark Lumbeck led off the parade right on time with fire trucks and rescue vehicles immediately behind him, with flashing lights, sirens and decorated vehicles for a great beginning! It was a time for some neighbors to parade down the middle of the street with clever attire, while others did their part by turning out to support and admire the efforts of their friends. Politicians, Disney characters, floats-big and small-fancy and not quite so, but all great just because they came. 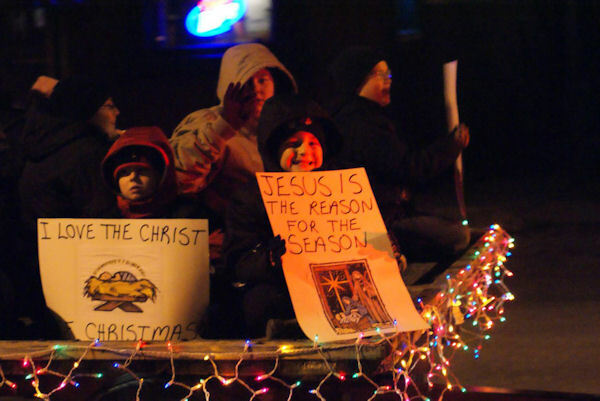 Even with just a sign taped to the side of a car or truck, they gave waves and smiles, and handed out candy for the kids giving their holiday cheer to all. 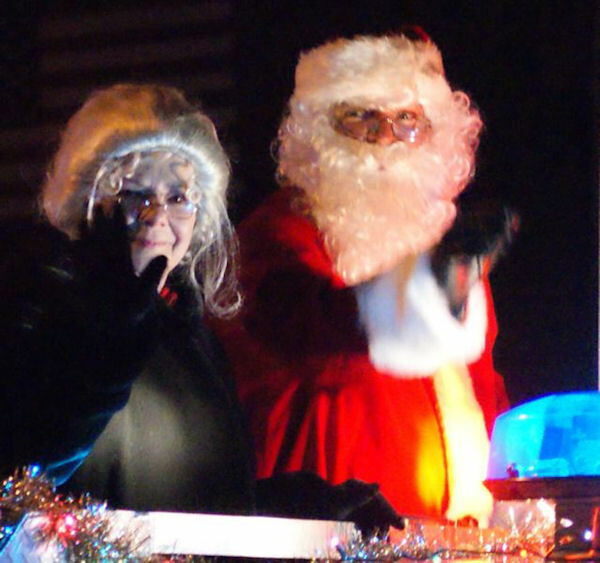 It was a feel-good parade that was long enough to be more than worthwhile coming out to see, and it ended with what looked to be the real Santa Claus, one lady told me. She was sure it was, and he brought Mrs. Claus. "You could tell that they were real because of the way they really glowed and Santa had that "twinkle in his eye." Hats off Oquawka to a wonderful lighted Christmas parade.